Emerging evidence suggests that statins may decrease the risk of cancers. However, available evidence on bladder cancer is conflicting. To quantify the association between statin use and risk of bladder cancer, we performed a detailed meta-analysis of published studies regarding this subject. A literature search was carried out using MEDLINE, EMBASE, and OVID databases between January 1966 and October 2012. Before meta-analysis, between-study heterogeneity and publication bias were assessed using adequate statistical tests. Fixed- and random-effect models were used to estimate summary relative risks (RR) and the corresponding 95 % confidence intervals (CIs). Potential sources of heterogeneity were detected by meta-regression. Subgroup analyses, sensitivity analysis, and cumulative meta-analysis were also performed. A total of 13 (three RCTs, five cohort, and five case–control) studies contributed to the analysis. There was heterogeneity among the studies, but no publication bias. Pooled results indicated a nonsignificant increase in total bladder cancer risk among all statin users [RR = 1.07, 95 % CI (0.95, 1.21)]. 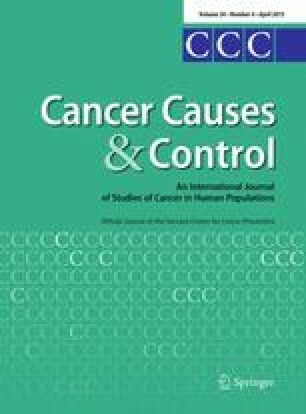 Long-term statin use did not significantly affect the risk of total bladder cancer [RR = 1.21, 95 % CI (0.92, 1.59)]. In our subgroup analyses, the results were not substantially affected by study design, region, and confounder adjustment. Furthermore, sensitivity analysis confirmed the stability of the results. The findings of this meta-analysis suggested that there was no association between statin use and risk of bladder cancer. More studies, especially RCTs, are needed to confirm this association. Xiao-long Zhang and Jiang Geng: contributed equally.